The talk all around New Jersey and Long Island is about the sonic boom that rocked the coastline Thursday afternoon. The U.S. Geological Survey got the word out that it was not an earthquake, and the Navy later fessed up to it likely being aircraft testing in the Atlantic. So what causes a sonic boom? NASA describes it as "the thunder-like noise a person on the ground hears when an aircraft or other type of aerospace vehicle flies overhead faster than the speed of sound or supersonic." As NASA puts it, "air reacts like a fluid to supersonic objects." NASA says as objects travel through the air, the air molecules are pushed aside "with great force and this forms a shock wave much like a boat creates a bow wave. The bigger and heavier the aircraft, the more air it displaces." A sonic boom travels through the air with the airplane so it arrives at different ground locations at different times, the USGS says. 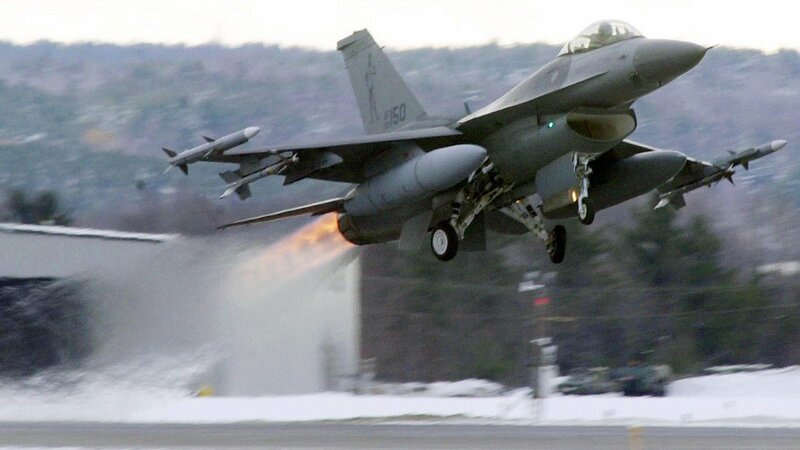 So what makes people able to hear the sonic boom? NASA says the aforementioned shock wave forms a cone of pressurized air molecules that move outward and rearward in all directions, extending to the ground. Pressure, build up by the shock wave, is then released sharply. That is heard as the sonic boom. "The change in air pressure associated with a sonic boom is only a few pounds per square foot - about the same pressure change experienced riding an elevator down two or three floors. It is the rate of change, the sudden onset of the pressure change, that makes the sonic boom audible," NASA says. According to NASA, weight, size, shape of the aircraft, altitude, flight path, and weather can influence a sonic boom. "The larger and heavier the aircraft, the stronger the shock waves will be," NASA says. For a further explanation, visit NASA.gov.